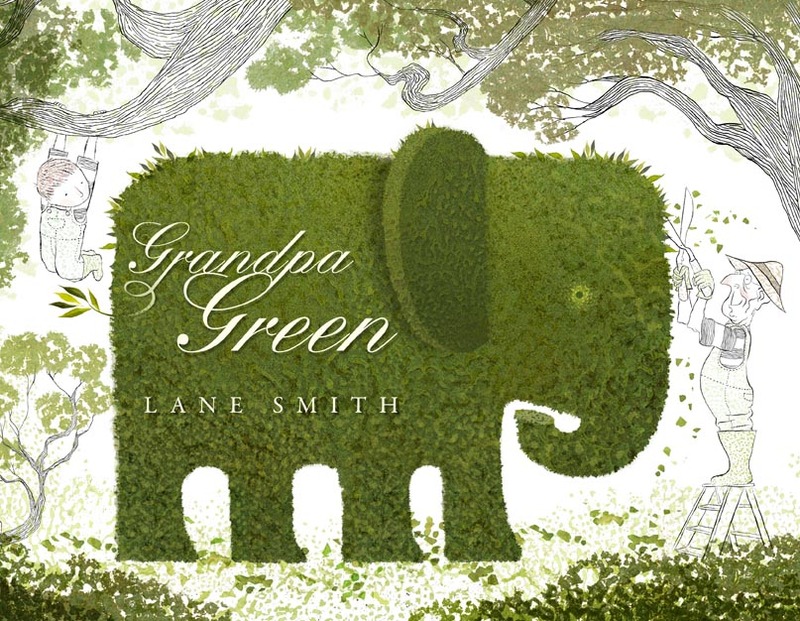 A gentle, moving book about memory and age — and something of a departure for Smith. Though it has humor and Smith’s beautiful, detailed artwork, it’s a more lyrical than his previous work, focused as it is on love and loss. Though it’s reflective, it’s never melancholic: the boy’s journey through a topiary garden of his grandfather’s life is fun, with plenty of unexpected turns. People liked the richness of the illustrations, the surprises in the story, and the fact that the book moved them. For those who’d like to learn more, I gave the book a favorable review on this blog back in August. People spoke of how the book captured a child’s perspective on something scary (the dark) and made that fun. We also liked its In the Night Kitchen-style layout — the book’s early pages even use a similar color palette to Sendak’s book, which won a Caldecott Honor in 1971. 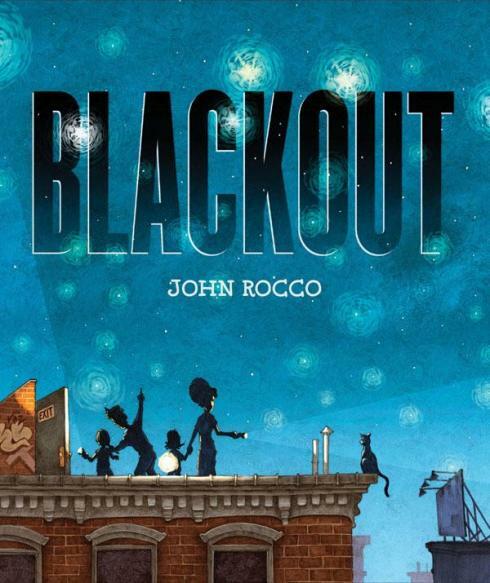 Set in Brooklyn, Rocco‘s book is about the 2003 blackout, and how the absence of power brought people together. This won the second-highest number of votes. This tied with the following book for third place in its number of votes. It’s a story of a chicken who is an artist — or, possibly, an artist who happens to be a chicken. But not “chicken” in, you know, the “afraid” sense. This chicken is quite happy to experiment with paint, and color, and — oh, don’t worry, I’m sure the paint will come out of that. As Freedman‘s Scribble (2007) was, this is a playful book about what art can do. Only with chickens. 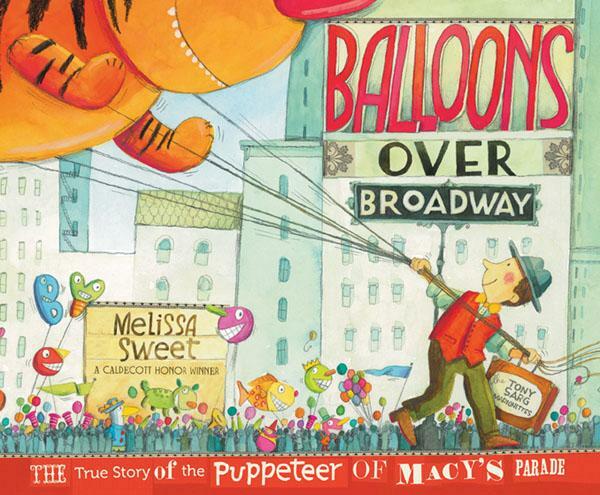 Melissa Sweet, Balloons Over Broadway. This book is about Tony Sarg, who created the balloons for the original Macy’s Thanksgiving Day Parade — and, indeed, started the tradition of having helium characters floating over New York during this November holiday. Sweet‘s mixed media, experiments with typeface, and shifts in perspective were appealing to some in the group, but others were more critical. I enjoyed the book, but, given the discussion that preceded its 3rd-place finish, I was surprised to see it land in our Honor category. Oh, and speaking of surprises, here are some …. 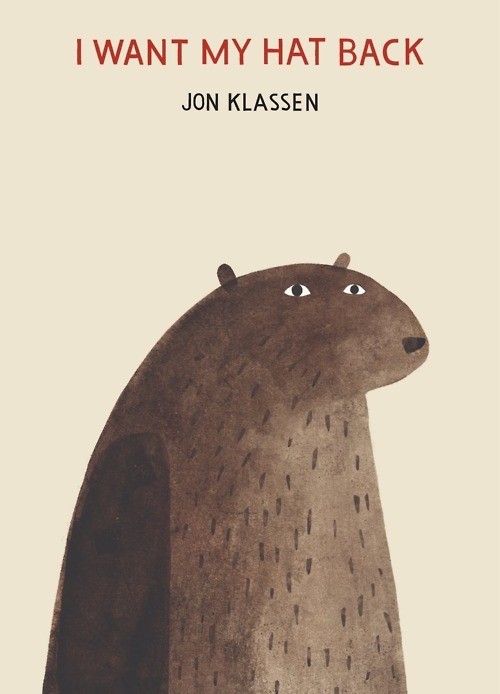 Jon Klassen, I Want My Hat Back. I was surprised that this one didn’t even land in an “Honor” category for us. There was some conversation about it as a contender for the Geisel Award, which may be an accurate predictor, but shouldn’t preclude it being a contender for the Caldecott. My guess is that its minimalist aesthetic may have cost it a few points, when in fact that should have won it points. The book is a masterpiece of economy and wit. Each detail works exactly right. And it’s really funny. I hope Klassen gets something for this one. 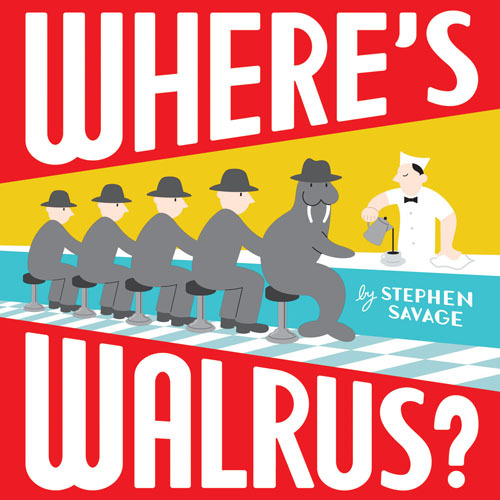 I’ve an affinity for funny books, so naturally I’m drawn to this one — a comic tale of a walrus on the run, that mixes the find-the-character game of Where’s Waldo? with a playful narrative and plenty of joie de vivre. Its design recalls posters from the 1930s: bold colors, sharp contrasts, and large bright shapes that look like they were printed. Savage has created a wordless tale that bears repeated readings. Good stuff. And, ah, it has — as Julie Walker Danielson recently observed — been a great year for picture books. Chris Van Allsburg’s Queen of the Falls, Chris Raschka’s A Ball for Daisy, Mat de la Pena and Kadir Nelson’s A Nation’s Hope: The Story of Boxing Legend Joe Louis, Maurice Sendak’s Bumble-Ardy. And that list is far from complete. So, what do you think? What are your favorite picture books from 2011? And which do you think will win the Caldecott Medal? Mock Caldecott 2010: Manhattan, Kansas Edition. What happened to “Me Jane”? Me… Jane and Bone Dog were both titles that we looked at. Me… Jane came in 6th place. Bone Dog didn’t make the final round. Neville was on our list, but we didn’t manage to get our hands on it in time. We were restricted but what we were able to obtain (either via the library or via interlibrary loan) in time for the Mock Caldecott. So, for instance, I still haven’t seen Along a Long Road or I Must Have Bobo — two titles I expect I’d like. What fun! And good list. Ah. Thanks for the inside story. I forgot about Bobo! Wonderful collaboration, that one! 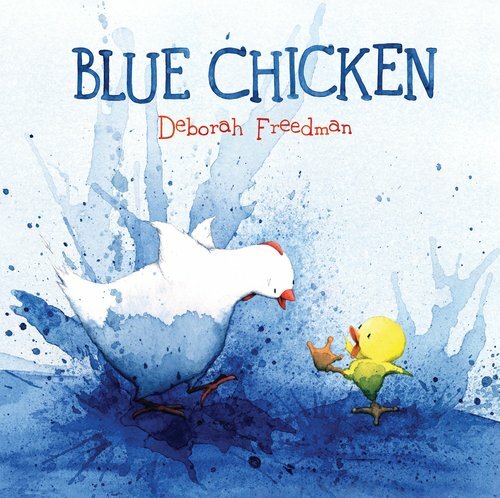 I just ordered the Blue Chicken book because it looked so fun. We ordered Bumble-Ardy when it first came out this year because my kids love Wild Things so much. We also ordered In the Night Kitchen at the same time. My son absolutely loves In The Night Kitchen. I should do a better job of keeping up with the children books. My kids need to step away from the computer every now and then.